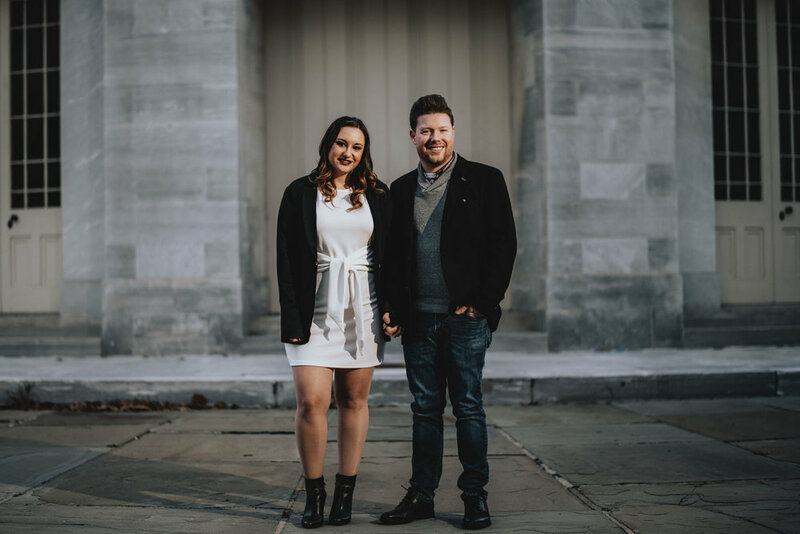 Brittny and Cole absolutely love Philly so it was an obvious choice when choosing a location for their engagement shoot. 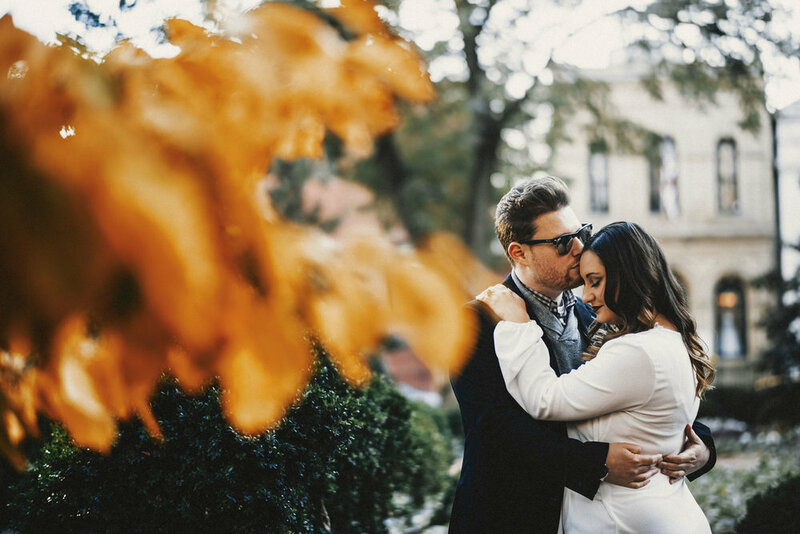 They got engaged almost exactly one year prior, and celebrated with an amazing session shot by associate photographer Eric, followed by a romantic dinner in their favorite city. Another passion close to the hearts of Brittny and Cole is music. With Cole being a DJ for the radio station 104.5, it was no surprise that music was a big part of this session. 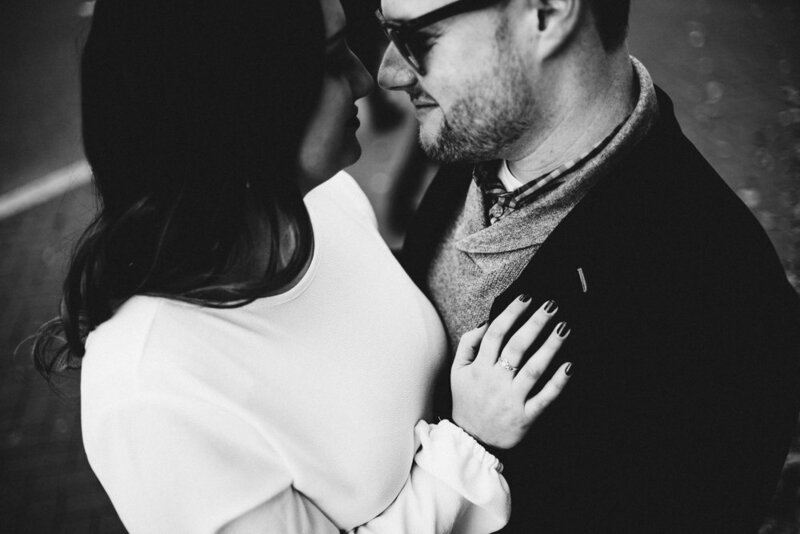 They would sing each other songs throughout their session, evoking genuine laughter and smiles. Something that makes photographers very happy. Brittny even had a pretty killer playlist going on her phone which really set the mood for the night, as we explored the city. 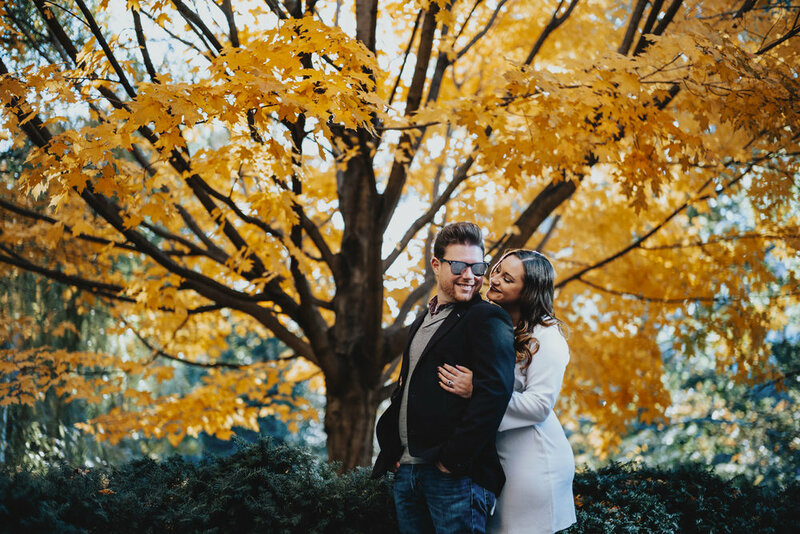 This is certainly one wedding the Twisted Oaks team is excited about for the coming year. The Artesano Gallery is a very unique venue and will be the perfect setting for Brittny and Cole’s music themed wedding. Congrats on your engagement, we can’t wait for the big day.